We arrange private cooking classes delivered directly to your villa at your best convenience, arranging the kitchen, providing all ingredients and all necessary tools. 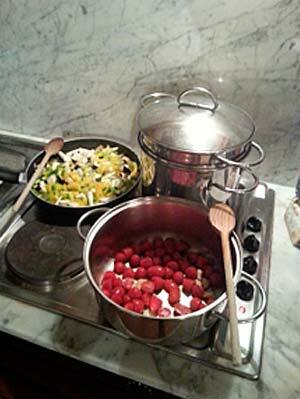 Then you start working at the preparation of the dishes listed in the chosen menu (3 or 4 typical Tuscan courses). 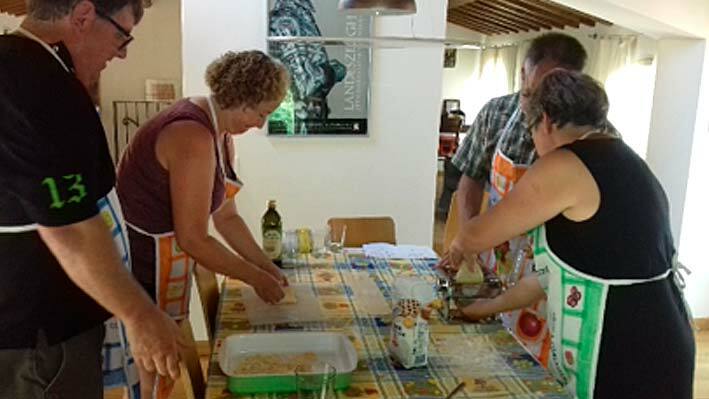 During the preparation of the dishes you are involved in stretching the fresh dough for your home-made tagliatelle or ravioli by means of a rolling pin or chopping vegetables. 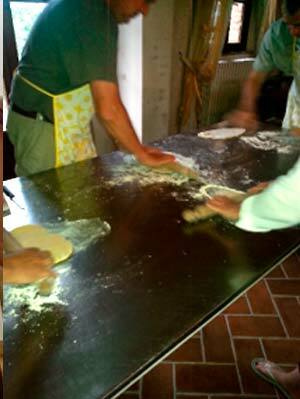 The lesson let you learn a lot of tricks about the Tuscan recipes and also about our habits and traditions, not only about food! At the end, an unforgettable lunch or dinner, based on the dishes prepared, paired with wine. Before leaving, we will clean up your kitchen completely.